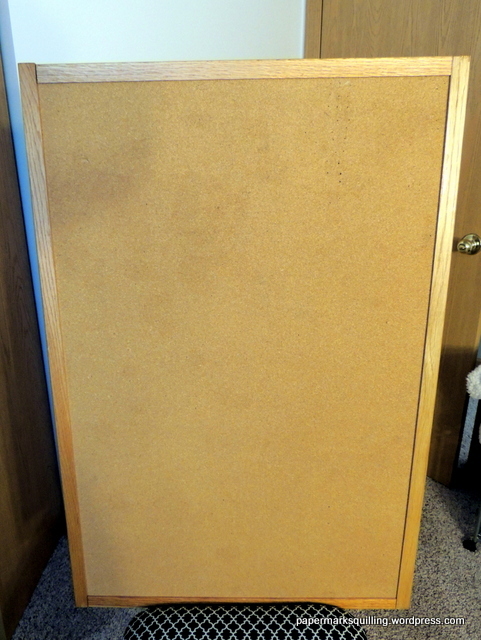 This is by far my favorite project. 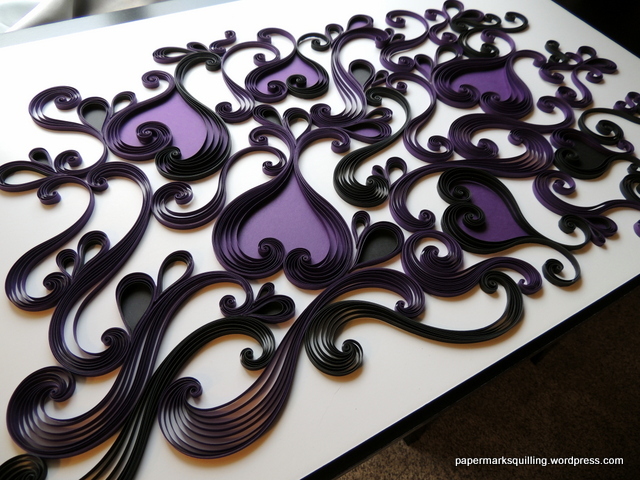 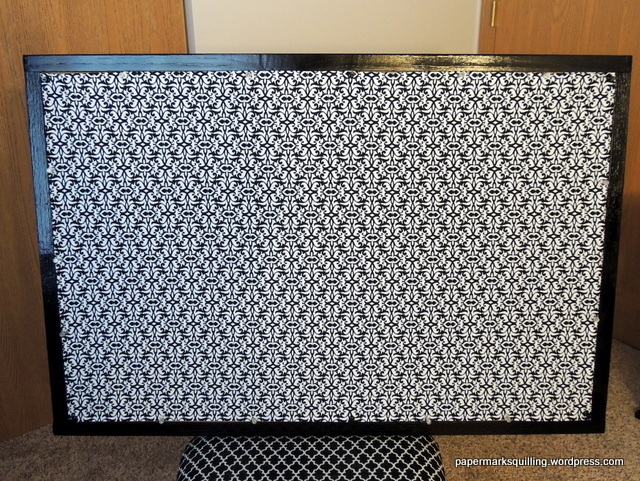 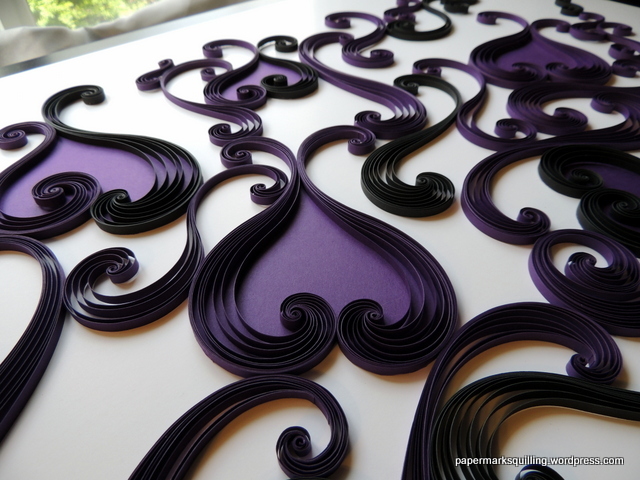 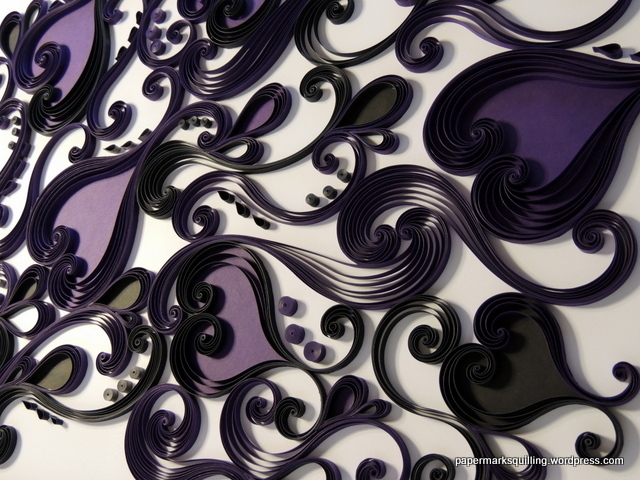 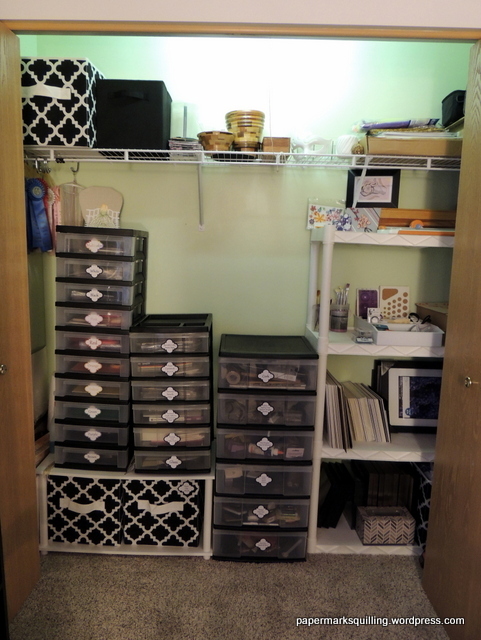 It is also the largest quilling project I have ever created measuring 20 inches x 30 inches. 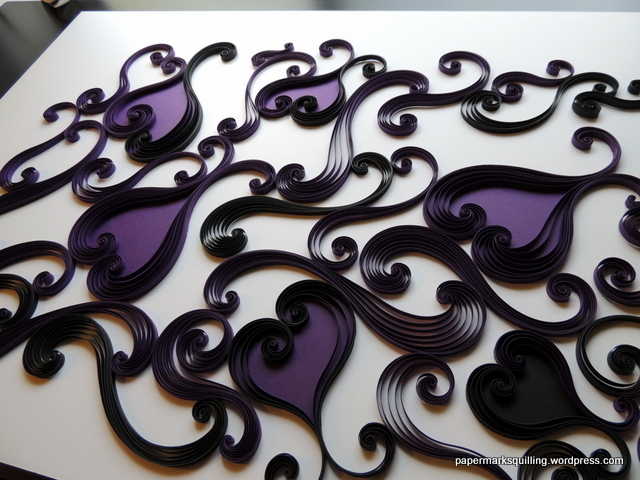 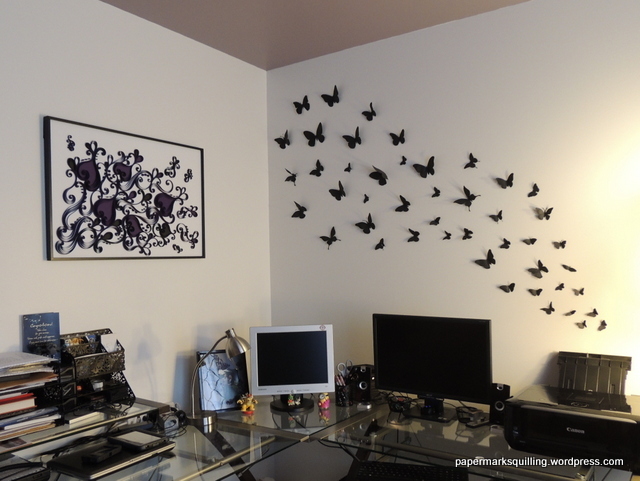 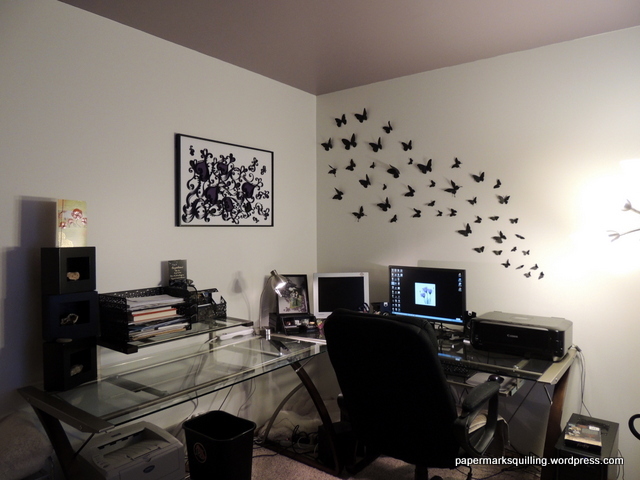 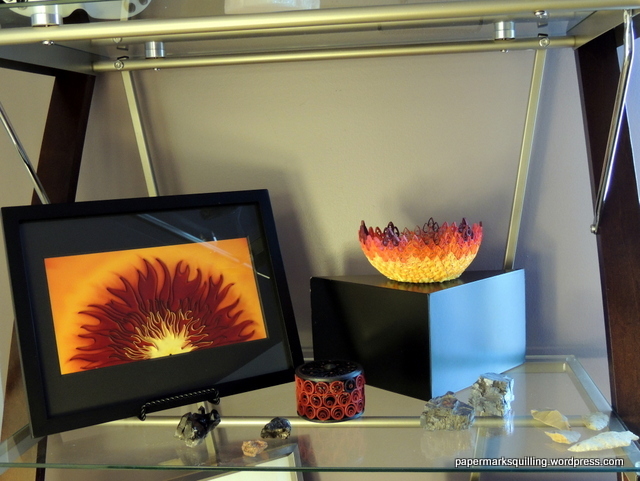 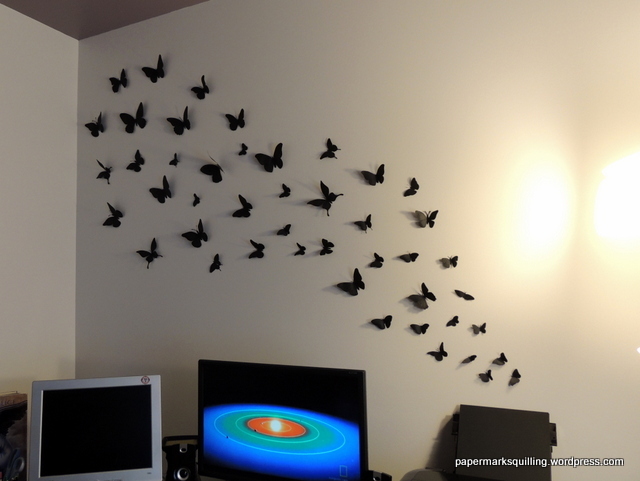 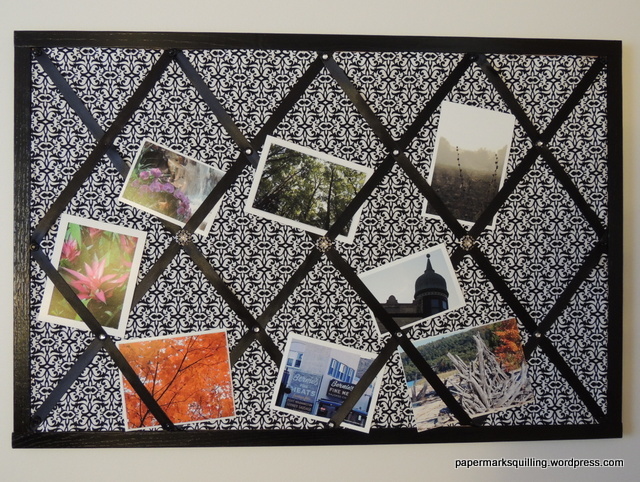 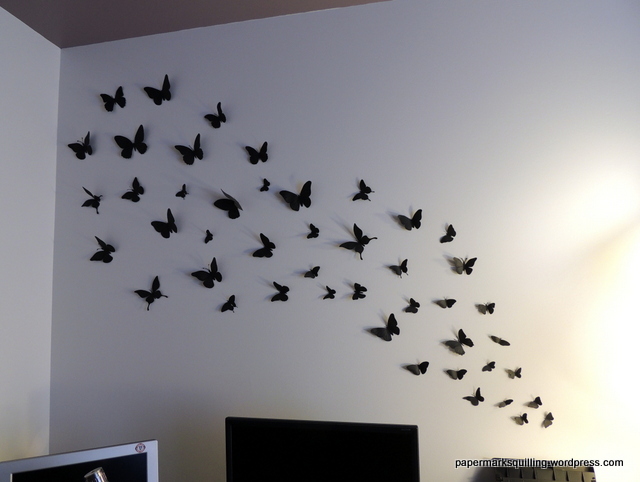 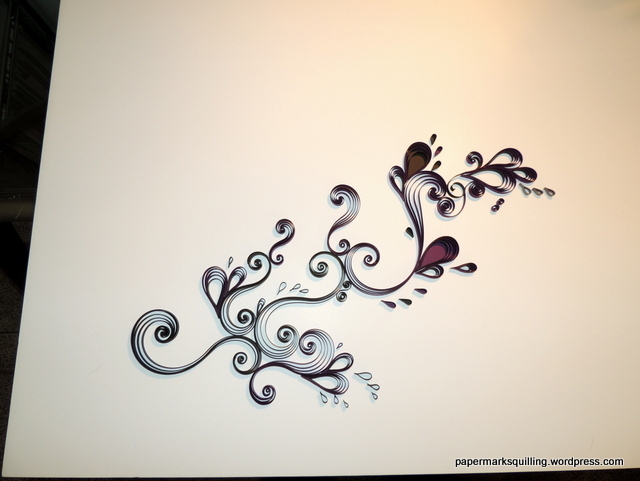 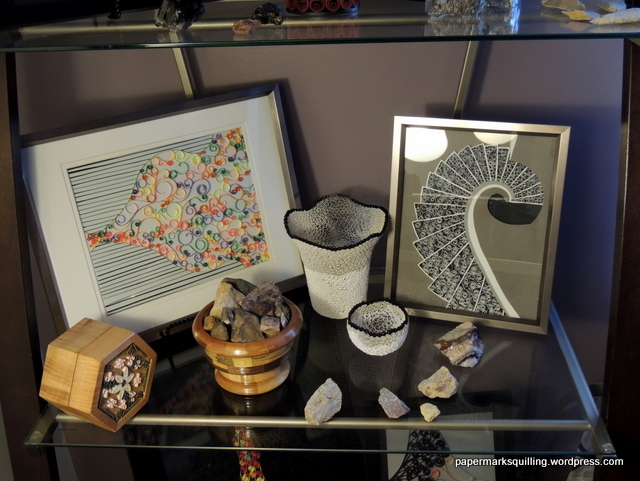 I created this as a decoration for my home office/quilling space. 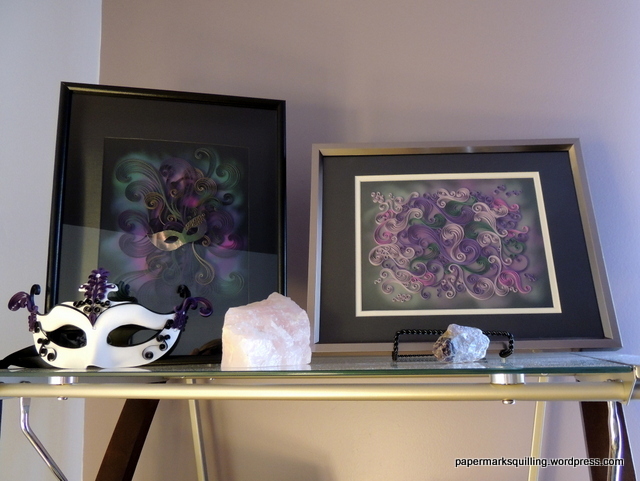 The room has three walls painted white and one wall and ceiling painted purple. 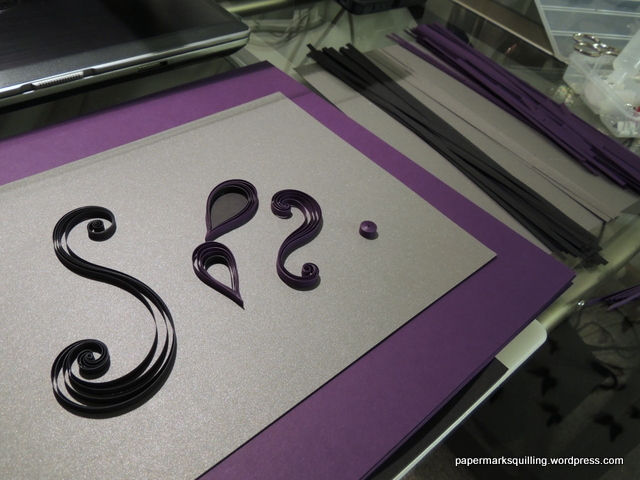 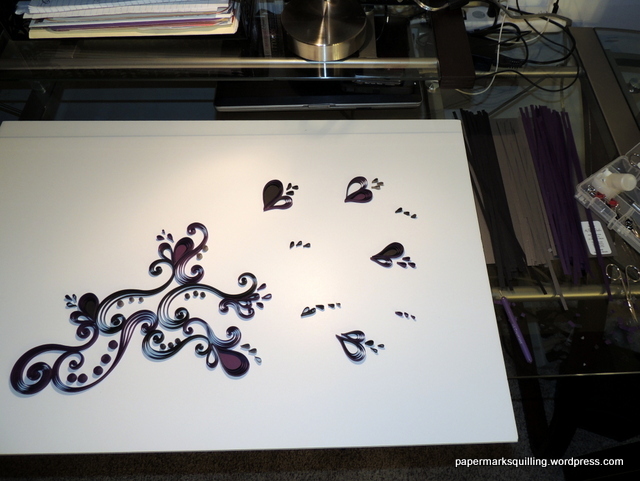 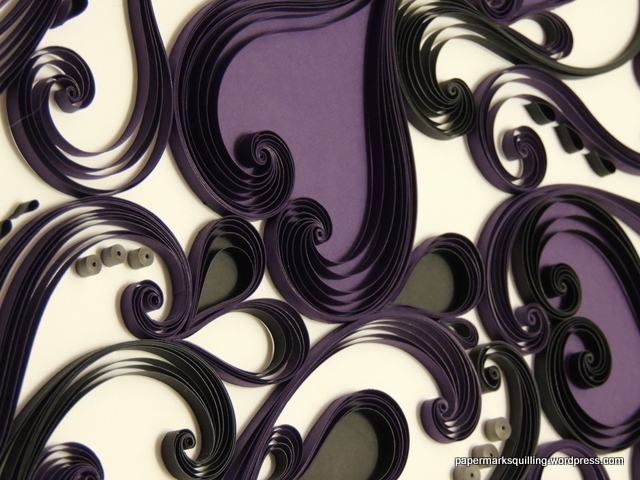 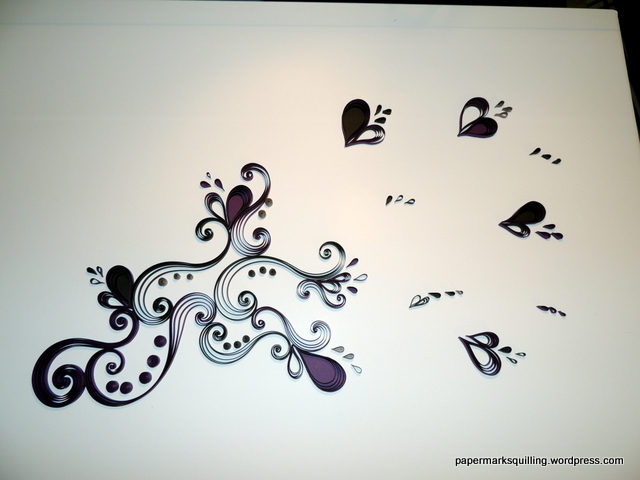 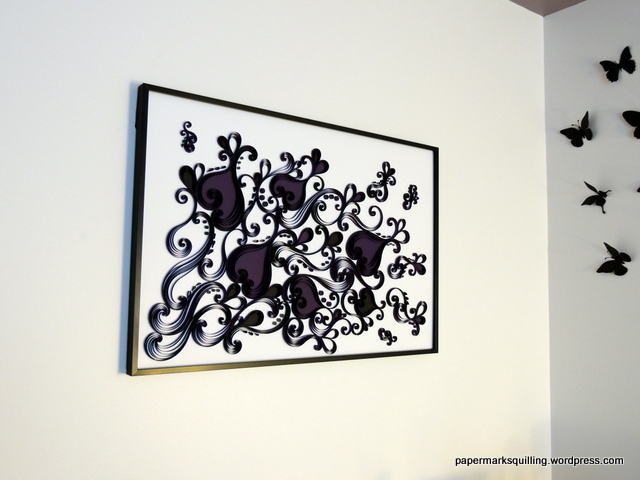 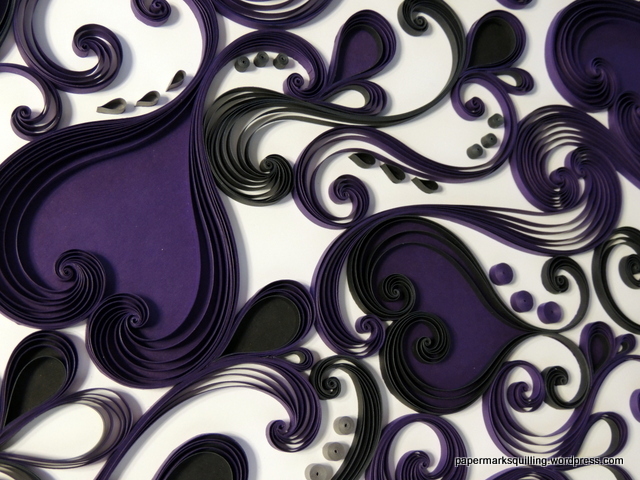 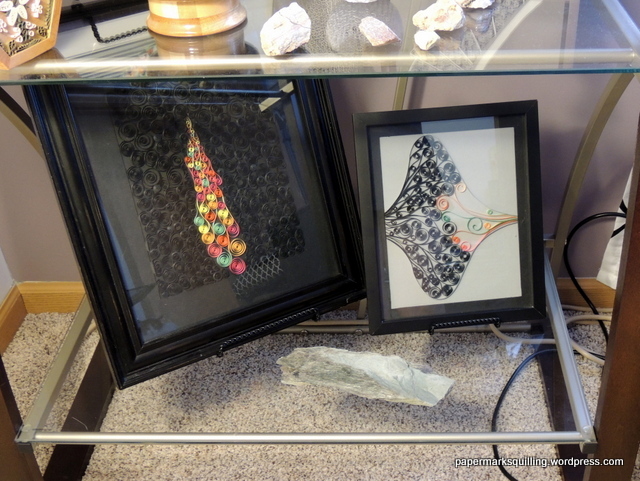 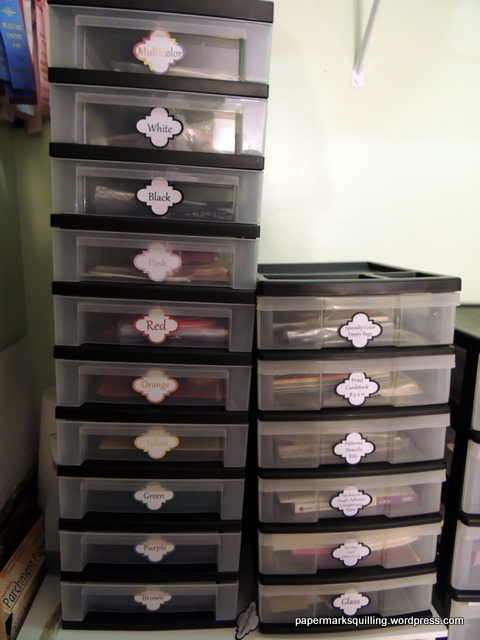 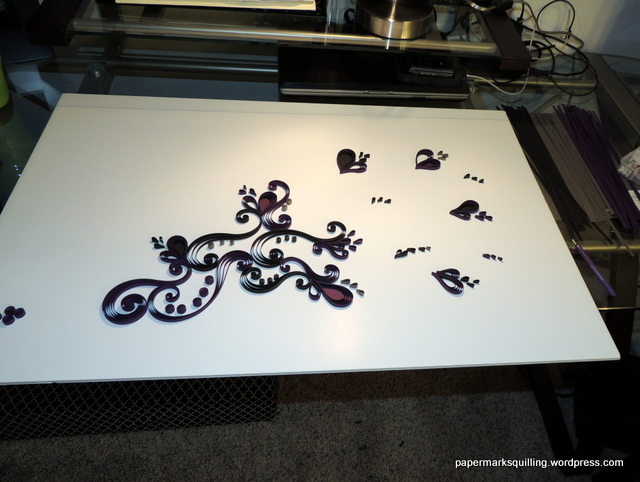 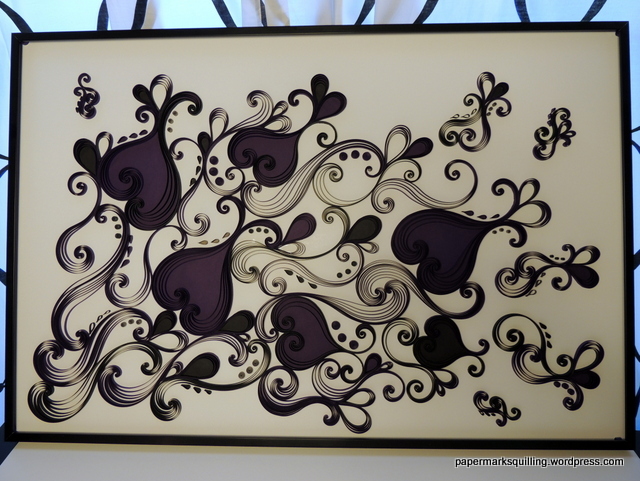 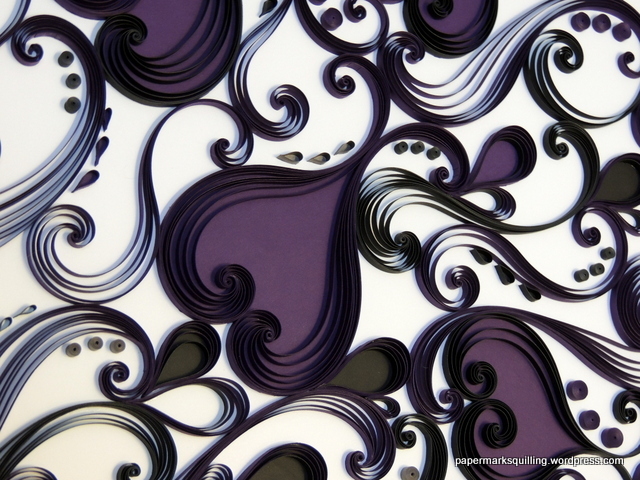 To match the existing colors in the room, I used purple, black and silver paper. 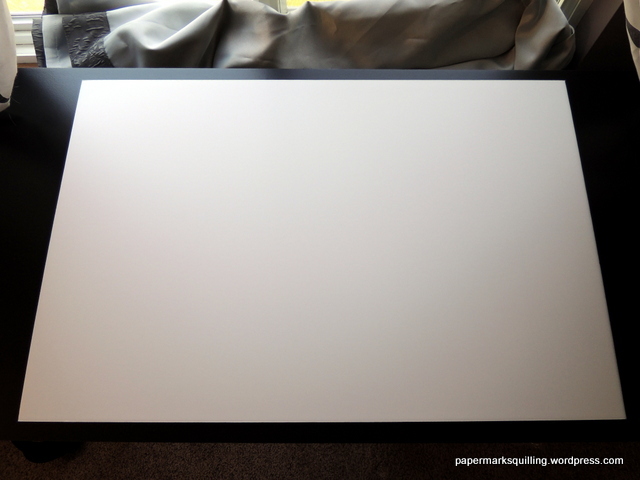 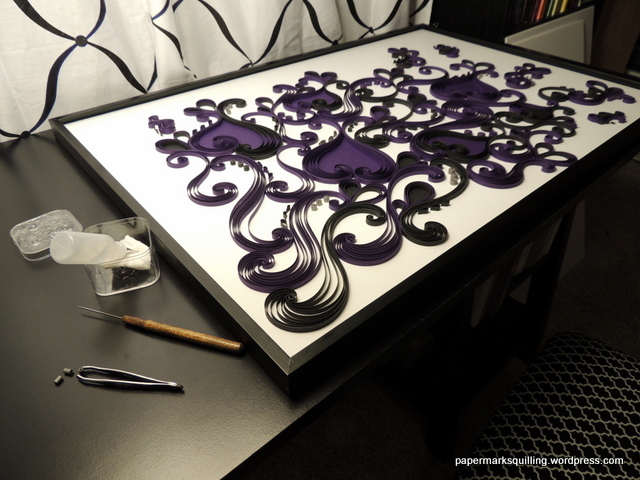 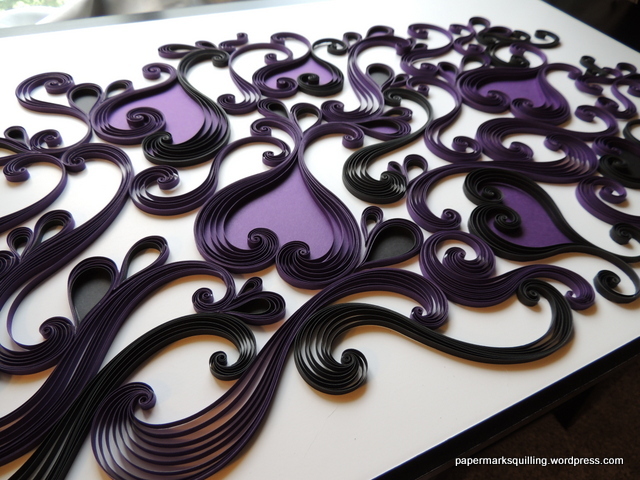 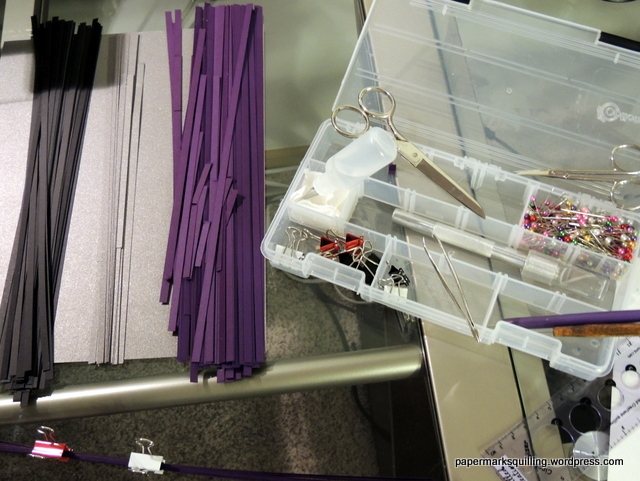 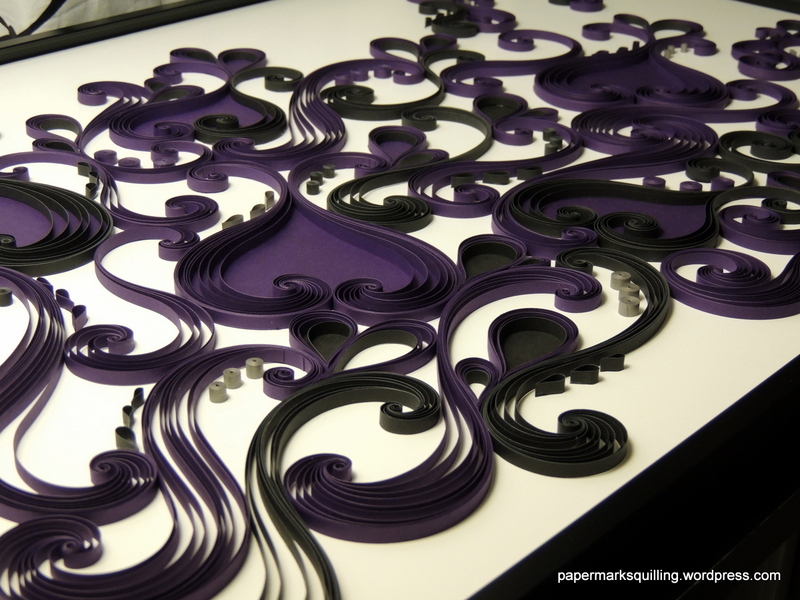 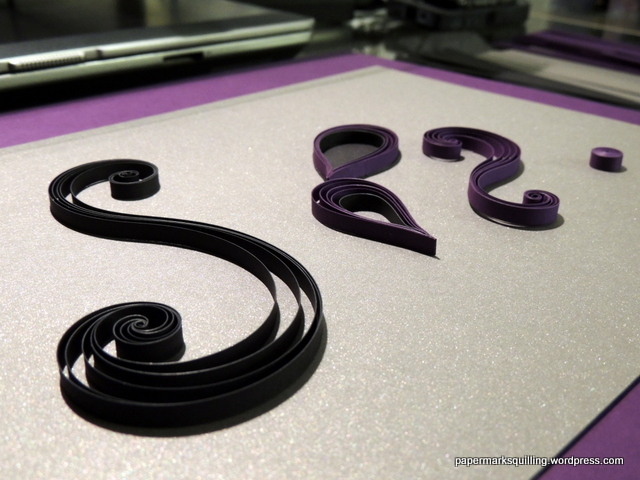 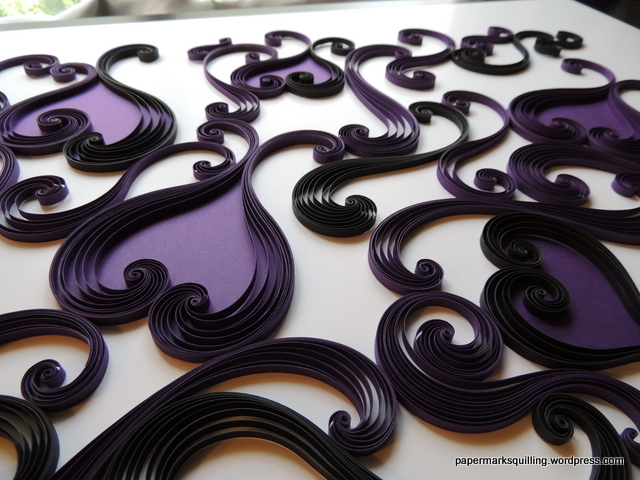 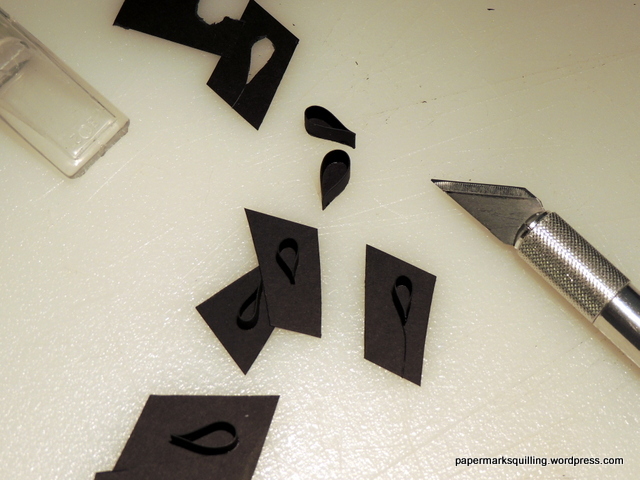 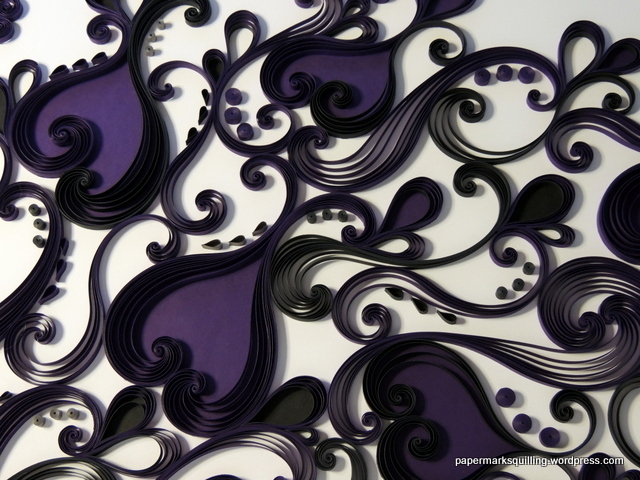 Because of the size of the piece, I decided to use wider quilling strips and cut my paper in 4mm wide pieces.